It is essential that the safety and security needs of all motorcycle riders are met. The two most high-profile UK rider organisations, the British Motorcyclists’ Federation (BMF) and Motorcycle Action Group (MAG) are well-­respected and organised but, despite their best endeavours, their membership may not necessarily represent all riders. The range and use of motorcycles is very wide: ­from restricted mopeds and scooters used as fashionable, basic transport for commuting to leisure riding and touring. Even this last category includes both classic machines and sports bikes which require different riding techniques and may be used by riders with different attitudes. A full understanding of the needs of diverse users is necessary in order to provide a safer riding environment. Benefits may also be found in dialogue with local motorcycle dealerships and businesses. 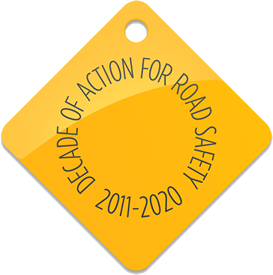 In 2004, after a publicity campaign in Toulouse, city authorities appointed a co-ordinator (M. Moto) to work on reducing motorcycle casualties. As an experienced motorcyclist, M. Moto works with the city’s technical staff, police and rider groups to promote safe motorcycling. Similar to Cycling Officers in many British local authorities, M. Moto is an advocate for riders and provides effective advice to other agencies. Nottinghamshire County Council has established a motorcyclist forum to examine issues affecting local riders and aim to make motorcycling in the area safer and more convenient. They encourage riders of all ages to get involved and provide feedback which may inform the Council’s policies. The forum meets every three months in different locations around the County to maximise its reach.